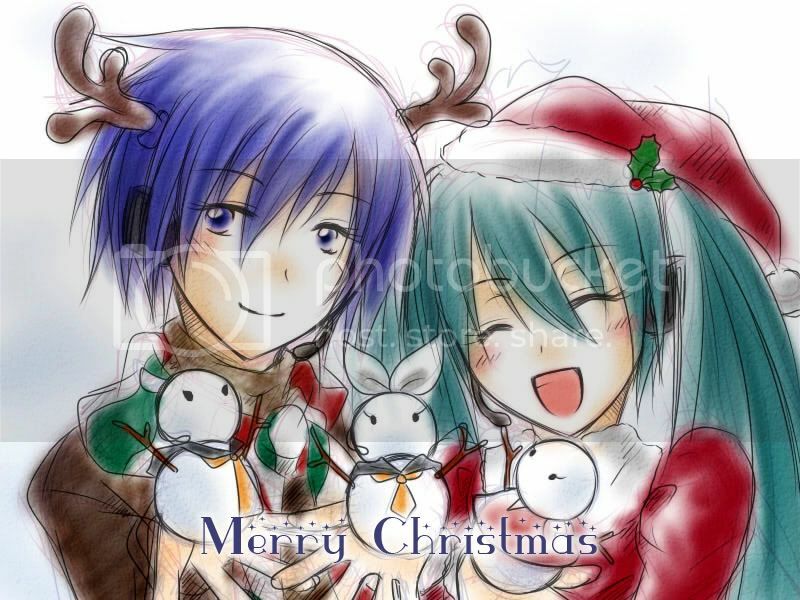 ~Eternal Snow~: Vocaloid Spotlight: Group Songs Series 1. 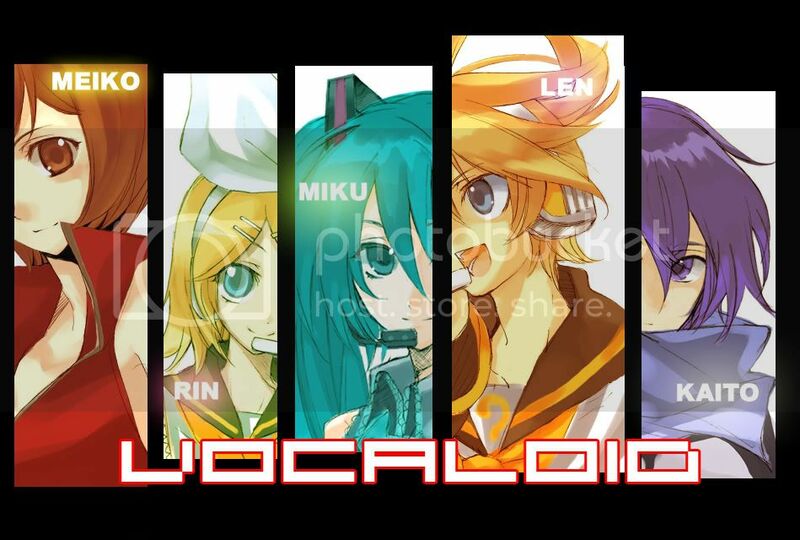 Rather than just the usual, having the individual Vocaloid characters singing songs on their own, I've put up some group songs that includes two or more of the chars together. to, but they're all found on PIAPRO. 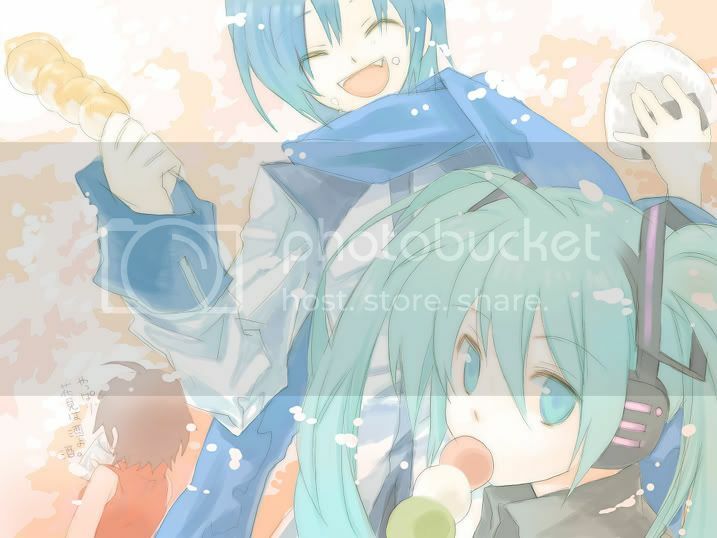 Miku, Rin, Len, KAITO, MEIKO - Zutto, Zutto... by 黒うさ. Mp3 can be gotten here. 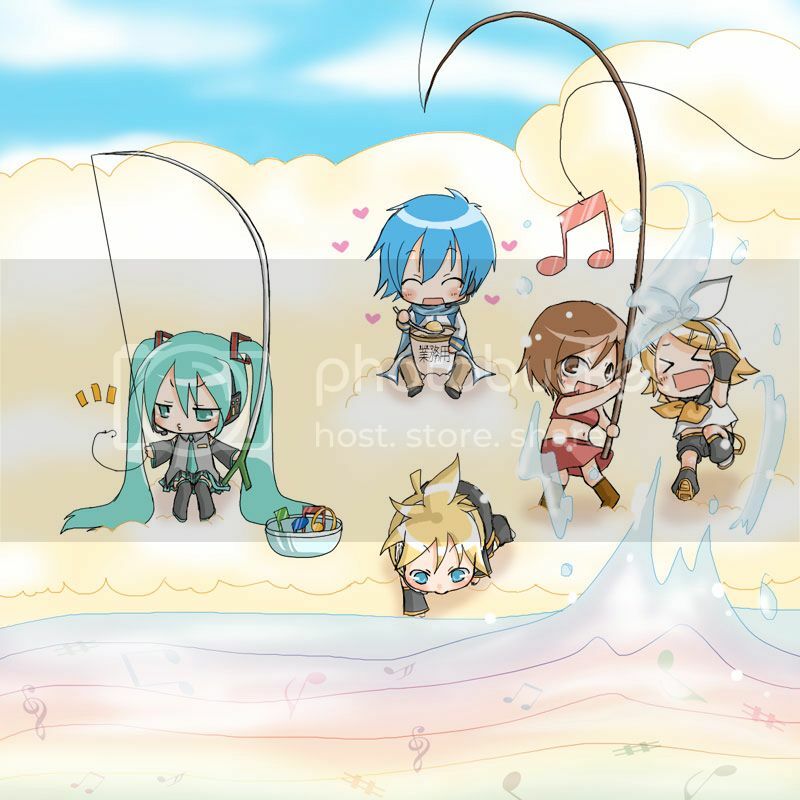 Our 3 Vocaloid ladies chibi-fied. picture really cute that requires it to be posted. A sweet duet by the two, and the unique voice of theirs seem to match quite nicely together for this single. Nice and peaceful, a song to listen to while watching the rain fall by the window(It's been raining lots these days in Sunny Singapore). Kagamine Twins (Rin, Len) - Gekoku by the469さん. Initially, the starting of the song gave off the vibe of a enka-styled song, but it was not to be as soon as the tune changed and Len went rapping. Though I was never a fan for raps, the song eventually grew onto me. There was a part which I nearly burst out in a sudden laughter, while during Rin's cute rap, came to a part where she asked whether she was cuter than Miku-nee (Well Miku is considered their older sister, since she came out before them). I felt that the "comment" by Rin came out so random that I nearly couldn't resist laughing. Mp3 and Lyrics can be found here. Enjoy ^^.